Tiffany from Pics and Pastries is back this week with a fun fall snack! But before you check it out, be sure to check her out on social media! 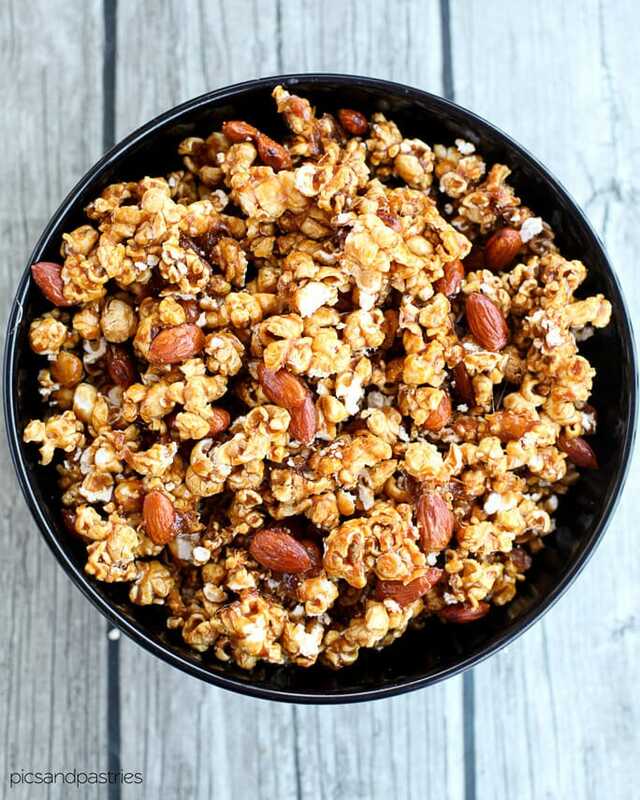 Spiced Caramel Popcorn and Nut Mix– Homemade caramel sauce poured over popcorn and toasted almonds. 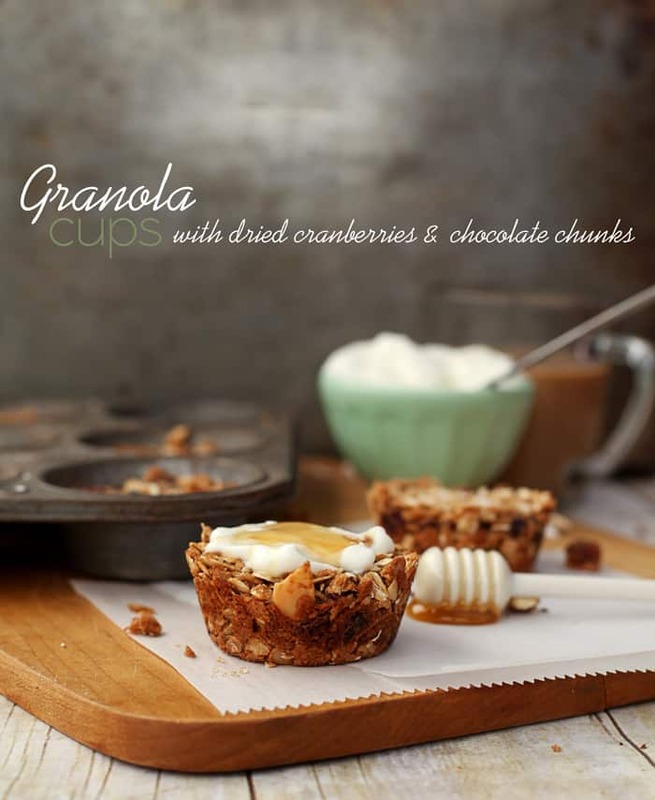 A perfect fall snack. Hey guys! I’m excited to be back here with Rebecca and blogging at Living Better Together. I’ve got a delicious fall treat for you today. 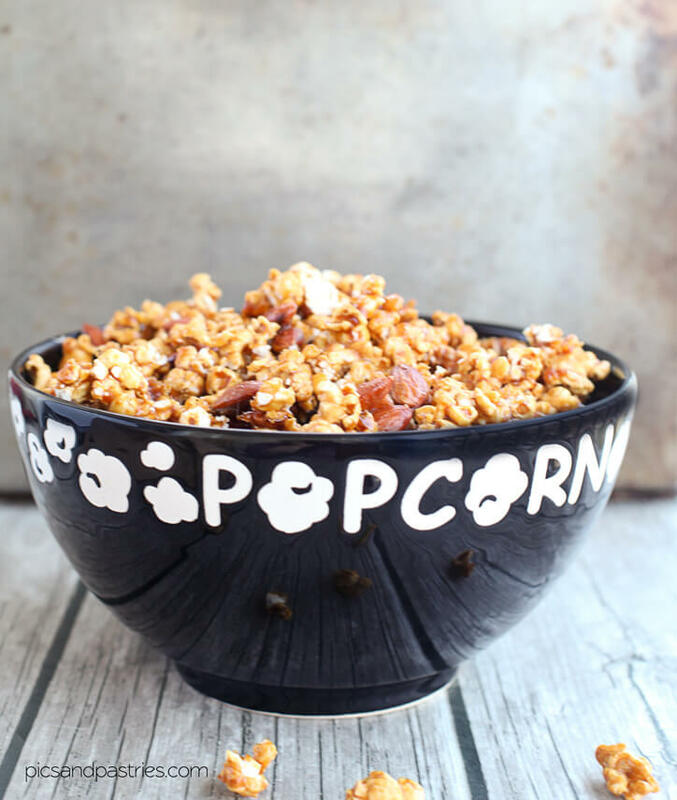 This spiced caramel popcorn and nut mix is perfect for all your fall parties. 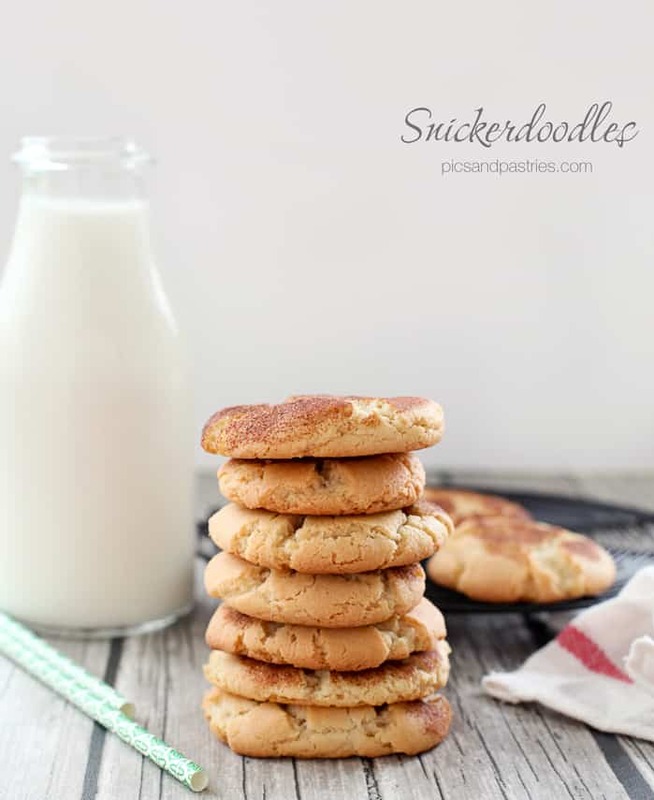 These cookies would also be great for a fall get together! I hope you have gotten to enjoy the beautiful fall we have had. Except it is raining here today, it rained yesterday, there’s a chance of rain tomorrow, the next day and as far into the future I am able to check via the Internet. lol. However, we do have baseball going on so that is keeping us busy. In October, if the St. Louis Cardinals have made it into the playoffs our evenings involve watching the Cards. What better treat to enjoy while watching baseball in October than some fall inspired caramel popcorn. This popcorn would be great to package up and give as gifts! Here’s the recipe. I hope you enjoyed this recipe and you can check out more of my recipes on my blog at picsandpastries.com! Combine popcorn, pecans and almonds in prepared pan. In a medium to large saucepan (use a pan large enough that it won't boil over) bring butter,brown sugar, corn syrups, and vanilla to a boil over medium heat. Stir a few times but not constantly. Add baking soda, salt, cinnamon and pumpkin pie spice. As best as you can try get as much of the popcorn coated with the caramel mixture. Use a spatula and lift the popcorn up and around in the prepared pan. Bake, stirring every 15 minutes, for 1 hour. Remove from oven; stir again to break up any clusters. Allow to rest for about 10 minutes. Transfer to wax paper and allow to cool to room temperature. Come check out what else I’ve been cooking! I love caramel popcorn and you’ve got my favorite nuts in there too. I’ll be making this for my Saturday move night. Enjoy, Tiffany sure knows how to get the sweet tooth going! What a fun popcorn. I am going to give this recipe a try with my kids. Oh, I bet they’ll love it! Thanks for stopping by! 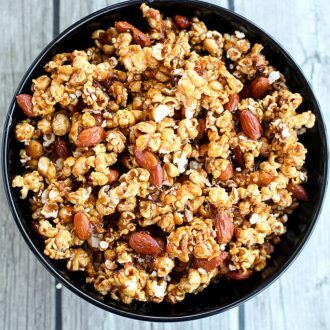 Love caramel corn and the spice makes it all the better! Yum! Yes it does, it gives it that nice autumn touch! Oh heavens does that look good, I could munch down that whole bowl!! I know, right! It’s perfect for fall! This sounds awesome! The perfect snack for movie watching! It reminds me of Cracker Jack. But, I bet it tastes way better! This looks great. I love caramel corn. My kids (and I) would love that. What a great treat! Pinning…I can’t wait to make it! 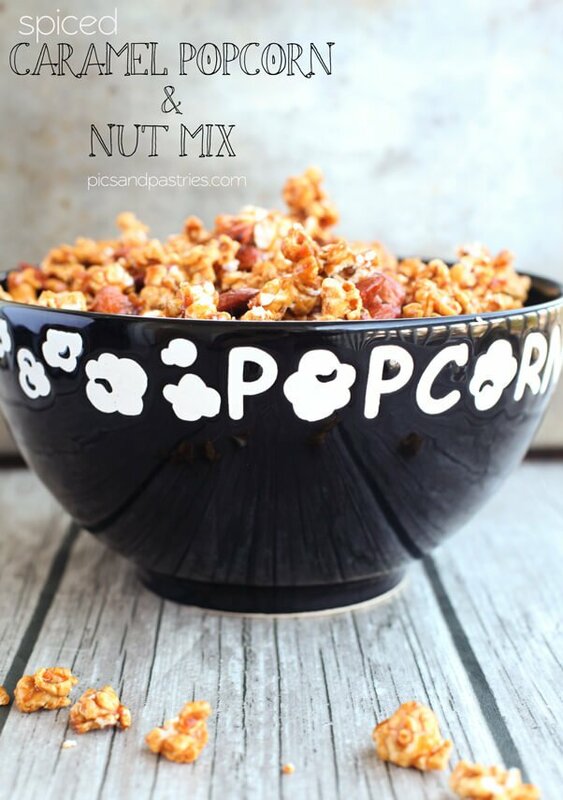 Spiced Caramel Popcorn and Nut Mix sounds delicious! I love how you added nuts to this, looks divine!